Professionals looking for an advanced drone will find there are several models available from popular manufacturers, such as DJI and Yuneec. Drones designed for this advanced skill level offer more robust features over their intermediate counterparts, such as compatibility with high-end gimbals and cameras. Select models offer full HD 1080p live monitoring and intelligent battery systems to monitor batteries during flight. 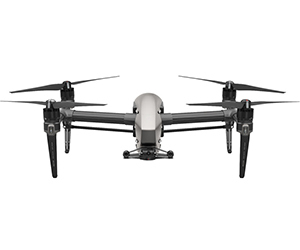 DJI's Inspire 2, for instance, can accelerate to 50 miles per hour (mph) in four seconds with a 58 mph maximum velocity.